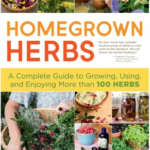 I’m always on the lookout for a practical herb book I can recommend to beginning herbalists, but I especially like them if I think there are gems in there that even advanced herbalists will benefit from and Healing Herbal Infusions is no exception. 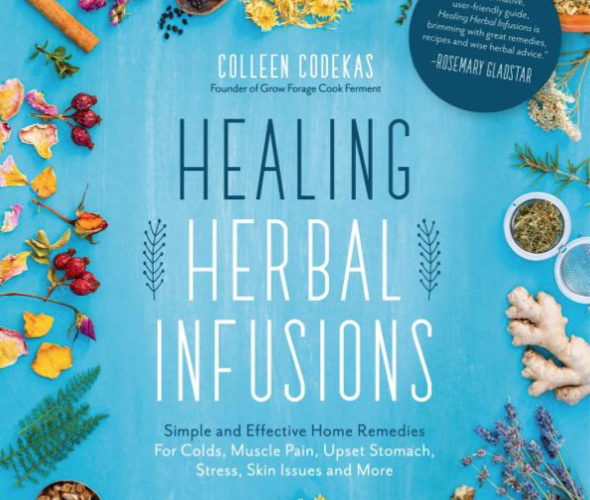 Colleen Codekas has created a book filled with wonderful recipes that are actually achievable by most people using easy-to-find herbs. Seriously, I’ve read some books with recipes that call for herbs that only grow in the tropics or are only carried at Specialty shops. Most of those recipes go untested and the book gathers the proverbial dust. That will not happen to Healing Herbal Infusions, at least not in my house! 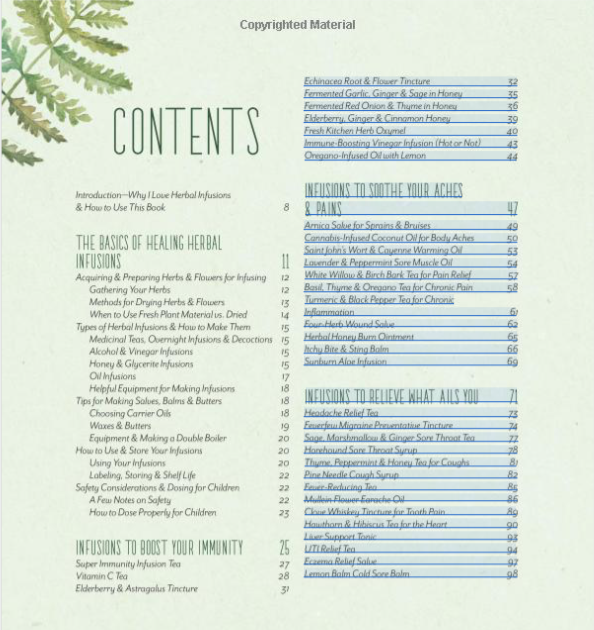 Additionally, I really appreciate about the recipes she provides is that most of them require very few ingredients versus other recipes that can contain upwards of 8 ingredients. I would say her recipes average 5 ingredients, this is including water, vinegar or oil. 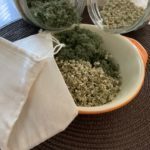 Again, she really works hard to make it super easy for home herbalists to make the recipes and feel successful right out of the gate. Finally, as an herbal educator, I do not want my students to waste their money on a book that will sit around and not be used. 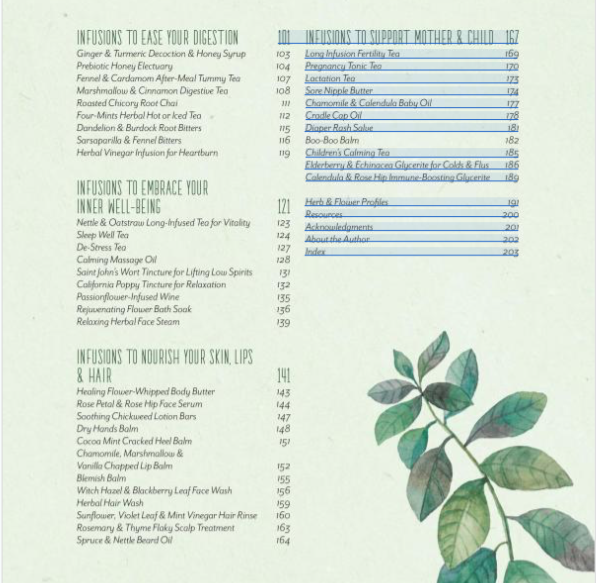 I can wholeheartedly say that Healing Herbal Infusions is one book I will be recommending! If you have any comments about the book or would like me to review a book, contact me!